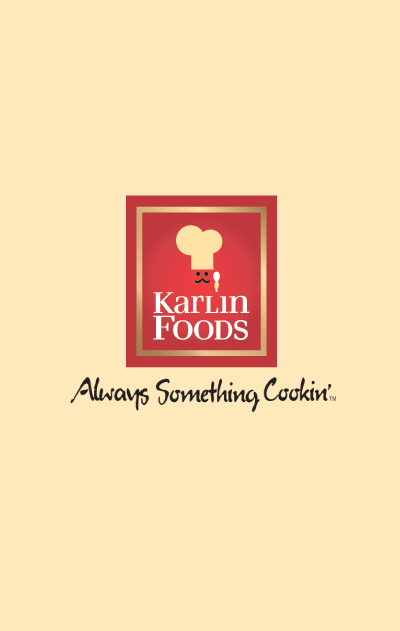 A staple item at Karlin Foods, our “add meat” skillet dinners offer your customers an excellent value. Please contact us for additional information and we’ll be happy to assist you with any private label needs. Ingredients: Cheese Sauce (Water, Cheddar Cheese [Pasteurized Milk, Cheese Culture, Salt, Enzymes], Soybean and/or Canola Oil, Whey [from milk], Non-Fat Milk, Maltodextrin, Sodium Phosphate, Natural Flavors, Salt, Paprika [color], Beta Carotene [color], Lactic Acid, Sodium Alginate, Mono- and Diglycerides, Xanthan Gum); Enriched Pasta (Wheat Flour, Niacin, Iron, Thiamin Mononitrate, Riboflavin, Folic Acid); Seasoning Blend (Dairy Product Solids, Corn Syrup Solids, Maltodextrin, Salt, Palm and/or Soybean Oil, Tomato*, Onion*, Hydrolyzed Corn Protein, Spices*, Sugar, Potassium Chloride, Lactose, Garlic*, Sodium Phosphate, Color Added [Annatto Extract, Titanium Dioxide, Paprika Extract, Turmeric Extract], Natural Flavors, Cheddar Cheese* [Pasteurized Milk, Cheese Cultures, Salt, Enzymes], Sodium Alginate, Sodium Caseinate [from milk], Citric Acid, Butter Oil, Potassium Phosphate). Brown 1 lb. ground beef in a large skillet. Drain. Stir in 2 cups water, seasoning mix and uncooked pasta. Bring to a boil. Reduce heat, cover and simmer. Cook 11-13 minutes, stirring often, until pasta is tender and most of the water is absorbed. Remove from heat. Add cheese pouch, stir until blended.